When you choose a RE/MAX First Sales Associate to sell your home or help you purchase a new home, you’ll experience a whole new level of service. 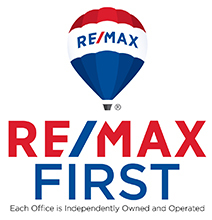 RE/MAX First Associates are "The Hometown Experts With a World of Experiencesm." Across the globe, they make their living in the same communities in which they live. They’re the people next-door, or just down the block. Consummate professionals, RE/MAX First Associates lead the industry in advanced real estate education and production. That’s why they’re known as "The Real Estate Leaders®" and why no one in the world sells more real estate than RE/MAX. The proof of quality service is in repeat customers and in customers who refer RE/MAX First Associates to their friends. RE/MAX First Sales Associates average 70 percent of their business from repeats and referrals, while other agents average about 30 percent from those sources. RE/MAX First Associates lead agents of competing companies in professional designations which denote specialized training and education. They dominate the Accredited Buyer Representative (ABR), Certified Relocation Professional (CRP), Certified Residential Specialist (CRS) and Leadership Training Graduate (LTG) ranks.